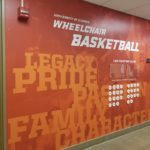 The Illini men’s and women’s teams will host the national tournament — and for the first time since 1969 it will be held at State Farm Center in Champaign. 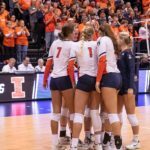 Illini volleyball continues its NCAA tournament run by hosting the round of 16 at Huff Hall on Friday with a Final Four berth on the line if they win. 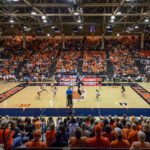 Get them before they’re gone — Illini volleyball tickets for NCAA tournament matches at Huff Hall are about to go on sale. 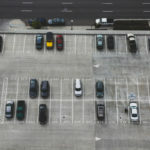 Shoppers in downtown Champaign need not feed the parking meters if they elect to use the Hill Street parking deck. 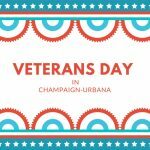 Veterans Day falls on a Sunday this year but is observed on Monday. So what will be open on Monday?